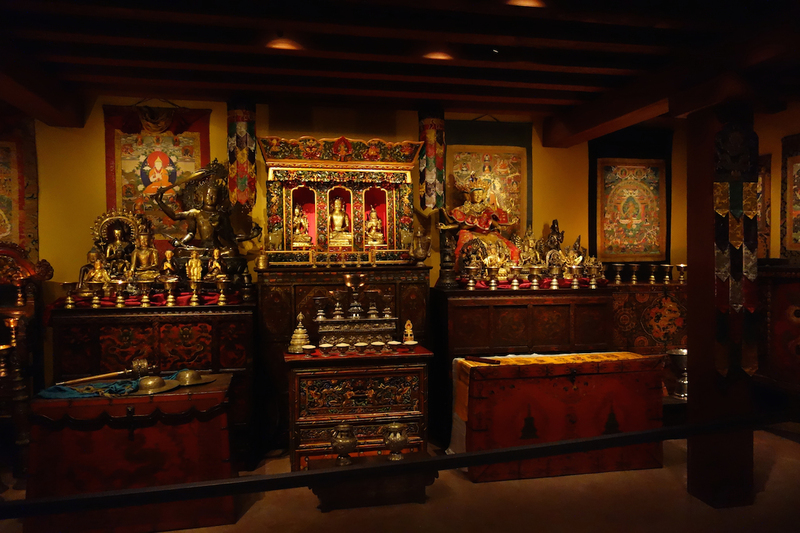 Flickering light and faint sounds of chanting accompany the Rubin Museum of Art’s expanded Tibetan Buddhist Shrine Room, where visitors to the Chelsea museum can pause in a space of contemplation. 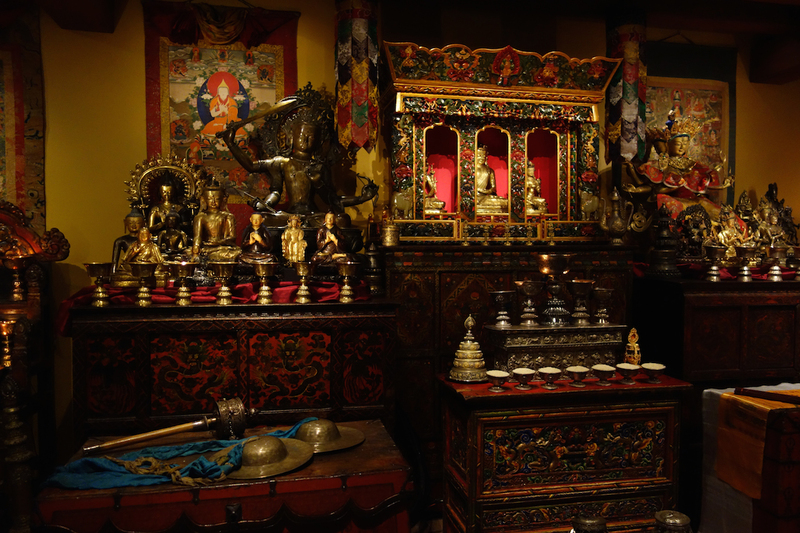 Flickering light and faint sounds of chanting accompany the Rubin Museum of Art’s expanded Tibetan Buddhist Shrine Room, where visitors to the Chelsea museum can pause in a space of contemplation. The new installation opens today alongside the Sacred Spaces exhibition, which encourages connections between spiritual practice and sacred moments in the everyday. 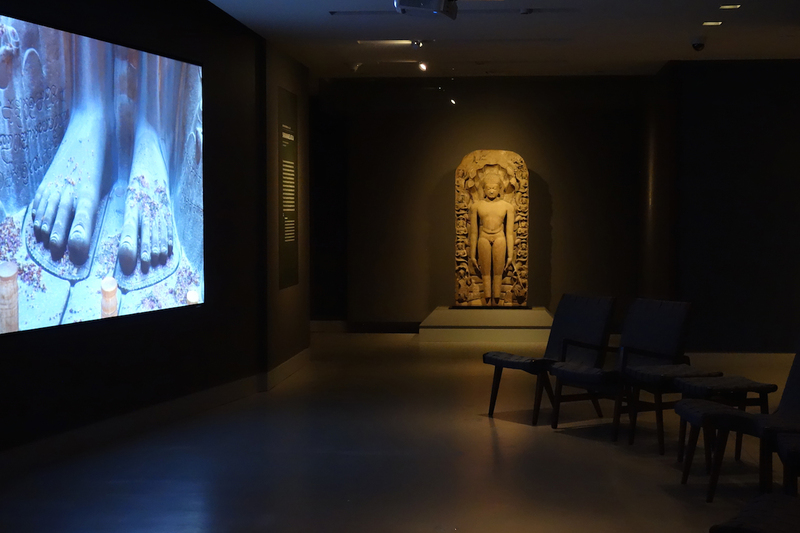 When it opened in 2010, the Rubin’s Shrine Room wasn’t intended to be permanent, as it started as a loan from the Smithsonian Institution’s Arthur M. Sackler Gallery. It has evolved over the years, with the current iteration helped along by a crowdfunding campaign. 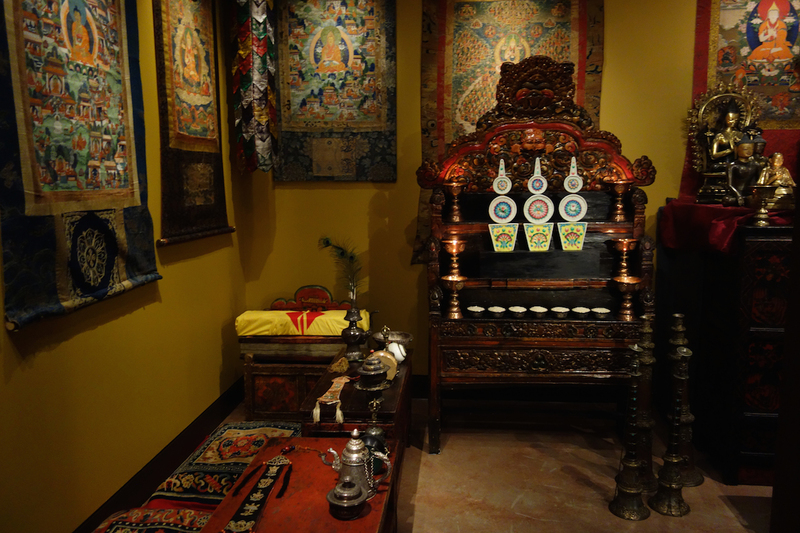 Now incorporating objects mostly from the Rubin’s collections, it acts not as a period room or re-creation, but a simulation of being immersed in a Tibetan Buddhist’s private household shrine. Rather than pick out the historic objects, which include 18th- to 19th-century cymbals from Mongolia with blue silk handles, a 19th-century drum made from a human skull, and an array of centuries-old statues of deities both wrathful and benevolent, the Shrine Room is an attempt to immerse visitors in a feeling of meditation. There is a power to a shrine, with its accumulation of meaningful objects, its suggestion of past acts of ritual that will start again. 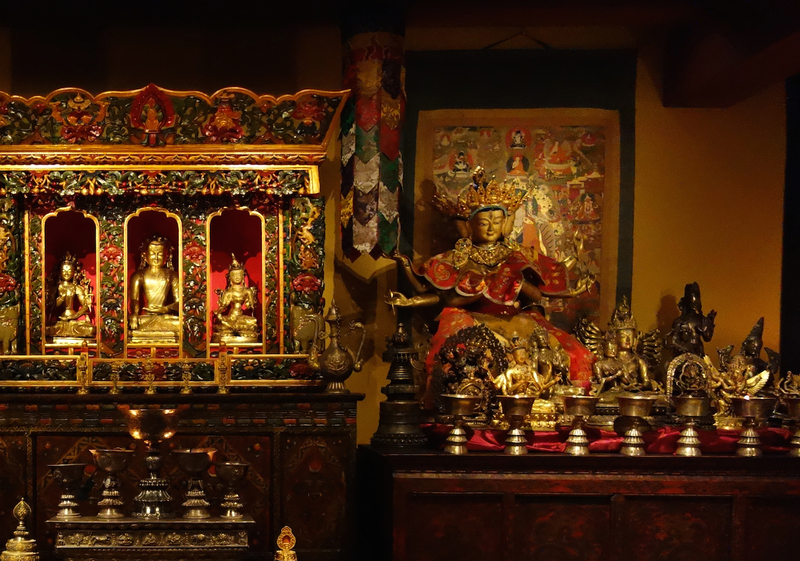 In the new installation, offerings rest near butter lamps emitting waving light, brocade fabric adorns the traditional furniture, and the whole space is awash with red and gold. Before Sacred Spaces, the Shrine Room was accessed discreetly around a corner, and visitors could only lean against a wall if they wanted to spend time with it. 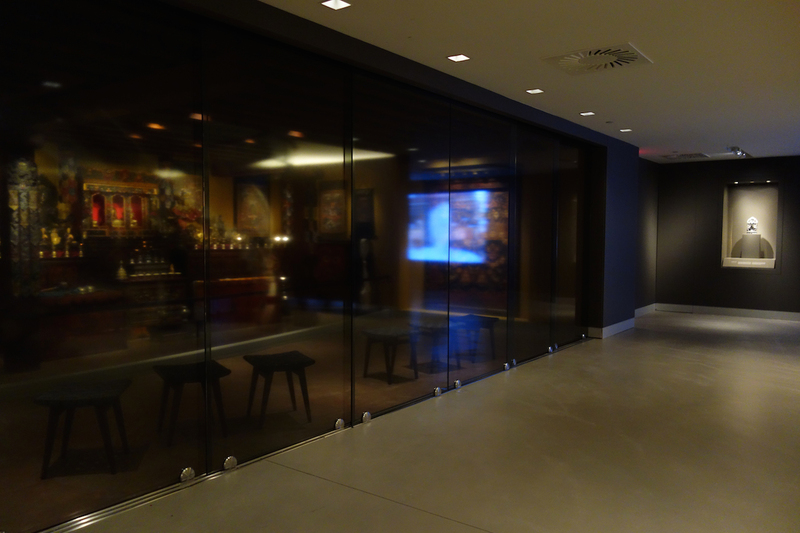 The larger Shrine Room has fogged glass windows that can slide open on the fourth floor landing, so it’s possible to see that the room is there before entering, and once inside chairs are available to linger. 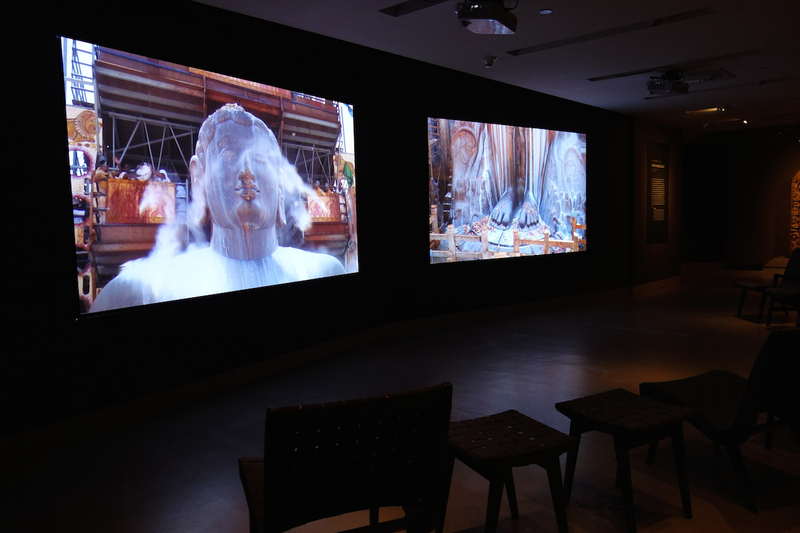 Alongside the revamped and more accessible Shrine Room are two art installations for Sacred Spaces to contextualize the experience, with the galleries envisioned by John Monaco, head of exhibition design at the Rubin, as their own reflective spaces. Chairs overlook a panoramic photograph by Jaroslav Poncar of a mountainous landscape in the province of Mustang in the north of Nepal, representing the natural forces significant to Tibetan Buddhism, and in another space visitors can watch a video installation by Deidi von Schaewen of a huge stone sculpture being doused with bright orange turmeric powder and white milk, an anointment that occurs every 12 years in Shravanabelagola, India. 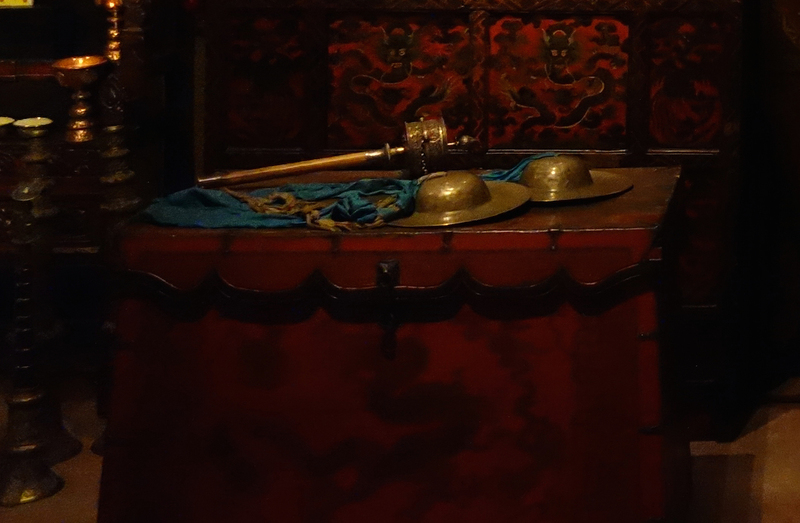 This demonstrates how, although the objects in the Rubin are contained behind glass, or in the Shrine Room behind a barrier, in practice they are often directly touched. For example, one sculpture of Shiva Bhairava in the Rubin (not part of Sacred Spaces), has its face almost entirely worn down from all the touch and ritualistic oil adorned on its metal over the years before its protection at a museum. 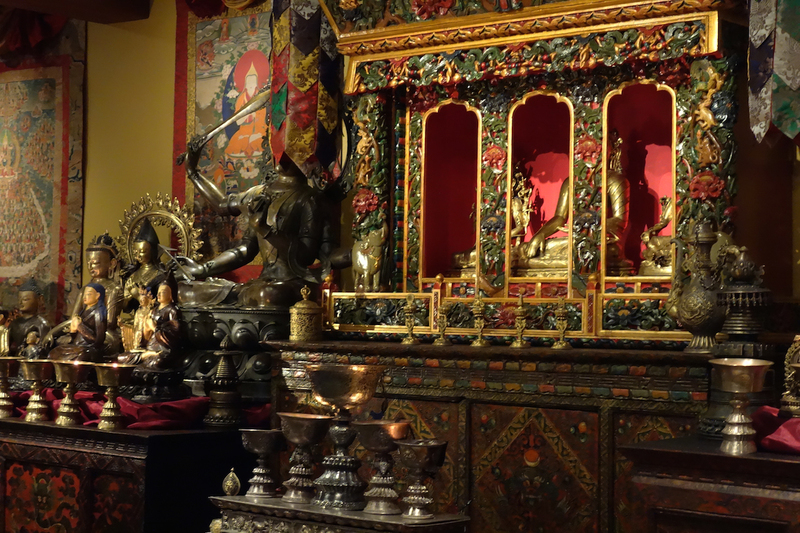 While touch is not part of the Shrine Room, it’s intended to get as close as possible to this interaction that’s a part of Tibetan Buddhism. 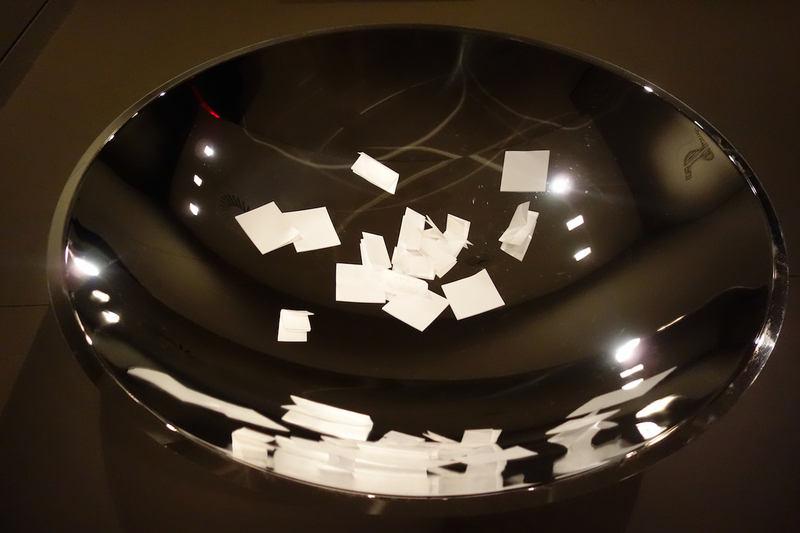 At the entrance of Sacred Spaces, a large silver bowl is installed where you can leave a note about a space sacred to you, responses to which are being shared on a Collected Spaces Instagram. Whether deliberately spiritual, or more personal, Sacred Spaces is an instigation to consider the universal significance of our devotional spaces. 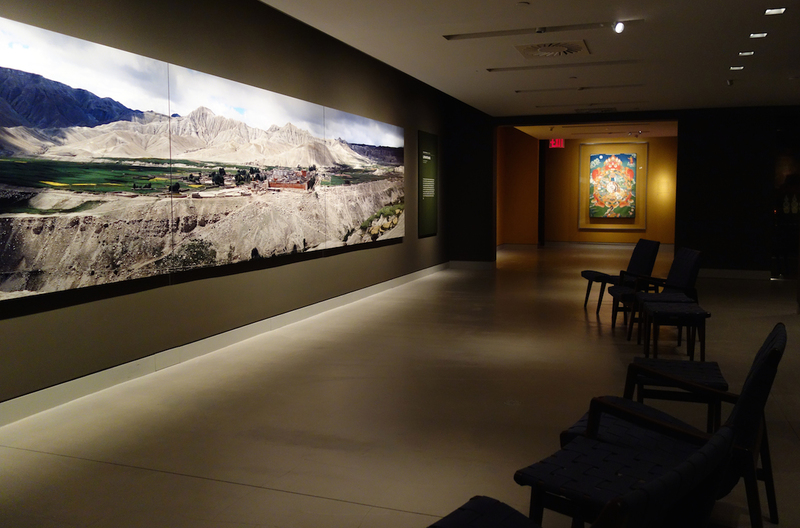 Sacred Spaces continues at the Rubin Museum of Art (150 West 17th Street, Chelsea, Manhattan) through March 27, 2017.